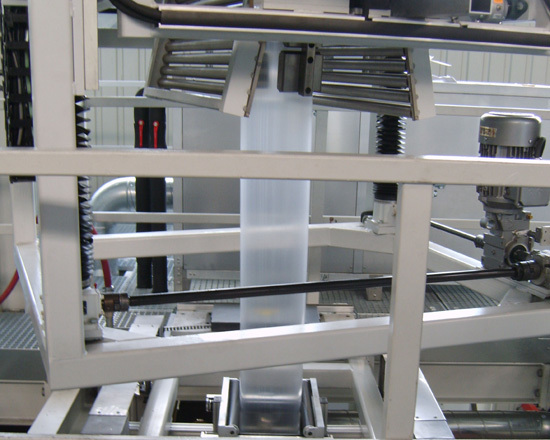 DXL Double-Bubble Lines - Macro Engineering and Technology Inc.
Macro's Barrier Biax-2 Series of coextrusion biax film lines produces high performance multilayer barrier shrink films for food packaging applications, such as meat, cheese, and poultry packaging shrink films and shrink bags. 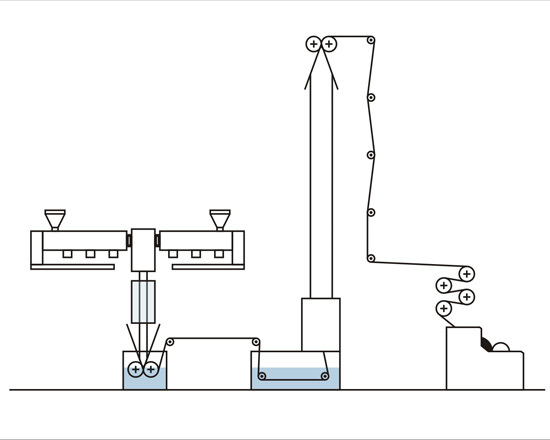 Configured in a two-bubble arrangement, the line efficiently performs the three basic processes of producing biax (biaxially-oriented) films: extrusion, orientation, and annealing. 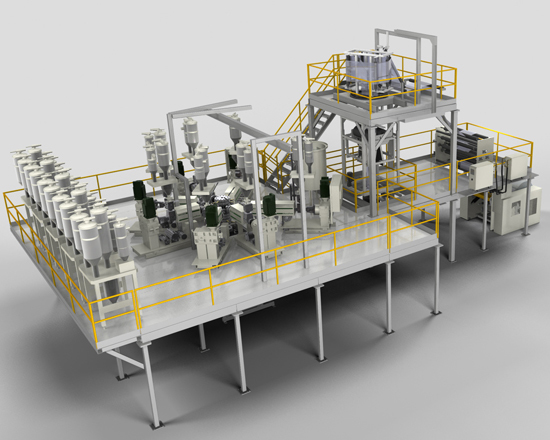 Using Macro’s TaperPack die, along with carefully designed extrusion screws, each extrusion module allows the processor to extrude a wide variety of polymers from PVdC to EVOH, and Nylon; allowing flexibility to adapt the product to market needs. The line features Macro’s primary tube calibration system, which is a water-based quenching and sizing technology, specially designed by Macro for the biax process. The quenching system ensures that the primary tube is efficiently cooled and precisely calibrated with simple operation that allows for adjustments to be made without stopping the line, generating cost savings from reduced scrap generation during production changes. The line is equipped with Macro’s orientation system, which initiates the MD/TD orientation process to accurately blow the second bubble. The orientation unit allows fast start-ups and the stability to perform long runs without bubble breaks. It also provides the processor with control of the shrink properties and thickness of the final film. 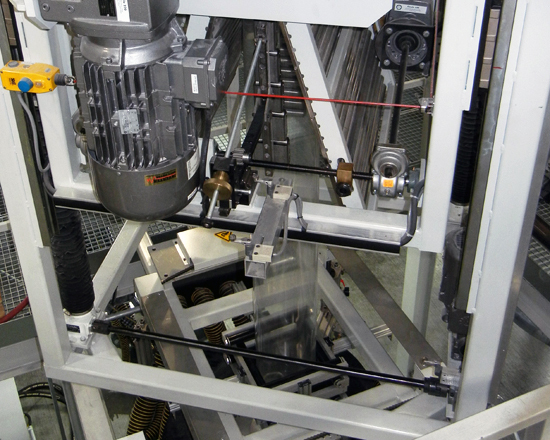 Annealing of the film is performed at an annealing station that consists of four water heated/cooler rollers in s-wrap configurations. 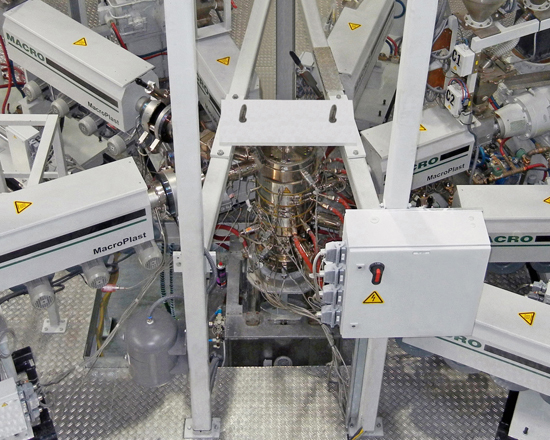 The line is equipped with a vertical randomizing unit and Macro’s Automax-S surface winder, which features programmable tension tapering and automatic cutovers.